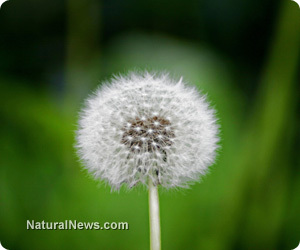 (NaturalNews) So many people can't wait to get rid of them once they start growing on their lawn, since dandelions are often seen as unwelcome weeds. Some of you may also recall the Rolling Stones song named "Dandelion" that came out during the summer of 1967. It was possibly the last time that dandelion was truly put into the spotlight, but new hope has now emerged that could very well make it the most wanted weed around. The dandelion greens are closely related to the sunflower plant family, which includes over 22 000 other plant species, such as thistles and daisies. This herb had a much better reputation in the old days, regarded by most as a formidable healer. The dandelion leaves are recognized for their ability to purify the blood, help with digestion and hamper the formation of hardened crystals known as gall stones. Ongoing research is most importantly starting to show that dandelion may possibly turn out to be an exceptional alternative for chemoresistant forms of cancer. The dandelion greens contain extremely important vitamins and minerals such as vitamin B6, thiamine, riboflavin, vitamin C, iron, calcium, potassium, folate, magnesium and manganese. They may contribute up to 535% of the suggested daily intake of vitamin K, not to mention over 110% of the recommended daily intake of vitamin A. It is believed that some of its flavonoids such as zeaxanthin and cryptoxanthin have specific healing properties. Zeaxanthin seems to provide protection for the retina when confronted by the sun's UV rays, while cryptoxanthin can potentially defend the body against the development of mouth and lung cancer cells. It's now on record that chemoresistant melanoma is the most common form of cancer for a portion of North American young adults, those aged between 25 and 29. Knowing that the immediate physical removal of melanoma cells remains to this day a standard practice for such patients, it is vital to know some researched alternatives. The Department of Chemistry and Biochemistry at Ontario's University of Windsor demonstrated that dandelion root extracts can efficiently induce apoptosis in human melanoma cells without causing any forms of toxicity in the process. In the initial study, the chemical reaction created by the dandelion extracts forced cancer cells to start disintegrating within the first 48 hours of treatment and at no time were all the other healthy cells affected. Researchers realized that continuous treatments with low-dose dandelion root extracts were effective in getting rid of most cancerous cells. The initial study turned out to be so positive that the research team was given additional grants in order to continue the project. Although further research is only in its early stages, a 72-year-old gentleman by the name of John DiCarlo doesn't need to be convinced about what dandelion tea can do for him. Mr. DiCarlo underwent aggressive cancer treatments and had been suffering for three years before the medical team decided to send him home to spend the little time they felt he had left with his family. Thankfully for him, the cancer clinic suggested that he try dandelion tea as a last resort. Within only four months, Mr. DiCarlo was in full remission and has stayed that way ever since.